Come enjoy stories, performances, testimonies, and multimedia presentations that celebrate diversity and strengthen our community. Afterwards, stay for The Longest Table. 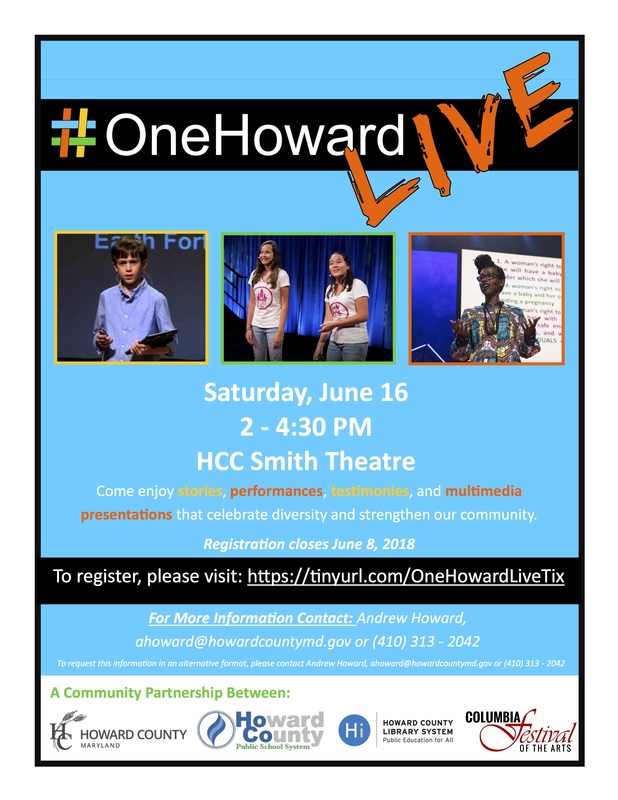 Register for OneHoward Live at https://tinyurl.com/OneHowardLiveTix. Registration closes June 8. For more information, contact Andrew Howard at [email protected] or 410-313-2042. A community partnership between Howard County Government, Howard County Public School System, Howard County Library System/Choose Civility, and the Columbia Festival of the Arts.